The Semnan Baha'i cemetery after it was vandalized in February 2009. Approximately 50 gravestones were destroyed and the mortuary building was set on fire. 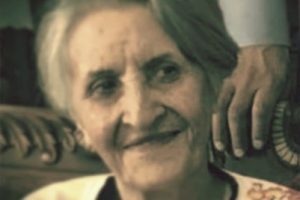 In Iran, deceased members of the Baha’i faith cannot rest in peace, nor can a Baha’i’s relatives count on being allowed to grieve in peace. According to Baha’i researchers who provided case studies to IranWire, Iranian security forces, or officials working on their behalf, have welded shut the gates of Baha’i cemeteries, destroyed gravestones, trees, morgues and mortuaries, intimidated cemetery workers, blocked access roads, ordered cemeteries to be closed or relocated, and even exhumed bodies and prevented burials. Their actions appear to result from Iran’s selective recognition of religious minorities, as enshrined in the constitution of the Islamic Republic, which dates back to the revolution of 1979. In most countries, cemetery vandalism occurs as petty property crime, usually carried out by small-time hooligans and thrill seekers. In the United kingdom, the past year has brought local news reports of tombstones knocked over in Fife, gravesspray-painted with obscene slogans in Derby, and Australian war graves defaced in London. Angry local people used words like “evil” and “despicable” to describe the crimes. Reports abound, too, of acts of desecration motivated by religious prejudice. Anti-Semitic vandals frequently target Jewish cemeteries in France and Eastern Europe, and in the US. Vandalism of Muslim cemeteries has also been reported in Denmark, the United Kingdom, and elsewhere. Graves in the Semnan Baha'i cemetery after it was vandalized in February 2009. Approximately 50 gravestones were destroyed and the mortuary building was set on fire. Politically and ideologically motivated cemetery vandalism occurs around the world. In 2012, for example, vandals in the Falkland Islands damaged Argentinian war graves dating back to the 1982 war between Britain and Argentina. The same year, a Libyan Islamist militia smashed up a British Second World War cemetery in Benghazi, and videotaped themselves expressing hatred for the Christians and Jews buried there. The Libyan government called the vandalism “irresponsible and criminal,” and promised to punish those responsible. But whereas Jews in Germany were the target of what Friedman terms “coordinated mass violence” — as in the case ofKristallnacht in November 1938, when dozens of Jewish cemeteries and mortuaries were set ablaze or blown up — attacks on Baha’i cemeteries are not backed by widespread hate campaigns. 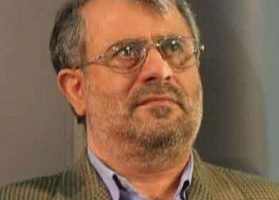 Iranian Baha’is have often received sympathetic treatment from ordinary Iranians, and even from some Iranian officials. “There has been a lot of sympathy in many instances,” Alai says. 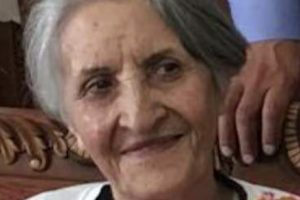 “We know that in the case of a lady who had passed away in Sanandaj, people made a point of going and visiting the family while they were grieving to show their support.” Case studies reveal that local courts and officials often issue judgments in favor of Baha’is where burial rights are concerned, even if more senior bodies overrule them.